Samsung Electronics announced the Samsung Galaxy S10 5G is available for purchase in Korea. 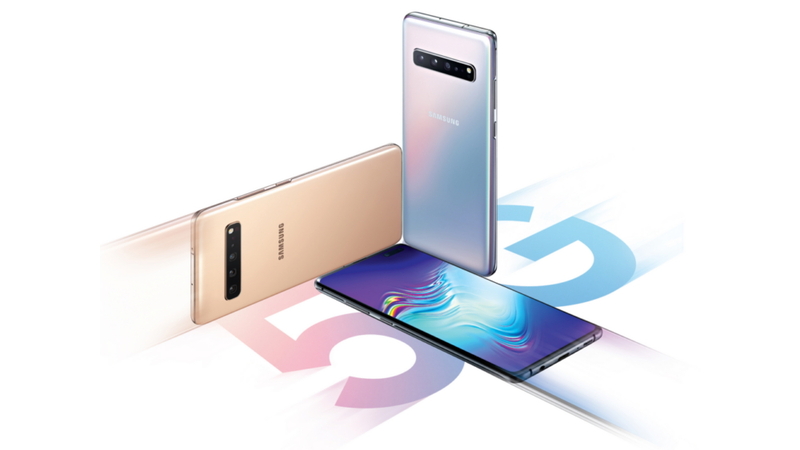 Over the past decade, Samsung has worked closely with network operators, device manufacturers and software developers to make 5G a reality with its complete end-to-end solution. Now, consumers will be able to unlock an entirely new mobile experience with the most advanced network available and the powerful and innovative features of the Samsung Galaxy S10 5G. Large Viewing Experience:The Galaxy S10 5G’s 6.7-inch Dynamic AMOLED display with edge-to-edge screen allows digital 5G content to be seen as it was intended. Samsung has developed a visual display that fully immerses consumers in the high-quality HD content, games, augmented reality and video conferencing made possible through 5G. Galaxy S10 5G is available in Majestic Black, Royal Gold, Crown Silver colors in Korea and will expand to additional markets after.